Wiki Loves Monuments 2019 is an international photo contest about cultural heritage monuments, which is open to everybody and is organised by the local chapters of Wikimedia and volunteer groups from different countries. Wikimedia Foundation is the entity supporting Wikipedia, the free encyclopedia, among many other projects. Cultural Heritage is an important part of the knowledge gathered and spread by Wikipedia. Everyone can contribute, both with images and articles. An image is worth a thousand words, in all languages. Everyone is invited to upload images of monuments under a free license for use in the different Wikipedias. The idea of this project is to get a global and unique vision of the cultural heritage of each country. On 2017 edition we will center on monuments and municipalities for which there are still no images under a free license on Wikimedia Commons, the Wikimedia project where multimedia files are centrally stored. Additionally, we are also looking of Roman Thermae. 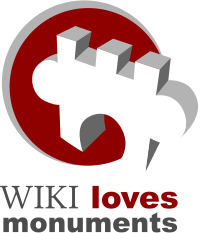 Wiki Loves Monuments is organised in Spain by Wikimedia Spain Association, which promotes and spreads Free Knowledge on Spain. IF you are interested in colaborating on contests or other activities, you may associate or donate. Photograph monuments or municipies still without photo on Wikipedia, or thermae (may be done at any time). Publish the photograph under a free license. Upload it to Wikimedia Commons between the 1st and 30th September of 2019. The monument identifier must be provided with the photographs (with help of the existing listings and the map). This is not required for thermae and municipies. Participant countries on 2019 edition. Wiki Loves Monuments contest was organised for the first time in 2010 in the Netherlands. In 2011 it took place in 18 European countries, achieving 169.000 photographs, in 2012 it was organized in 33 countries worldwide, totalizing 350.000 photography, and finally in 2013 366.000 in 52 countries. Wiki Loves Monuments has been registered in the Guinness World Record Book as the largest photography competition. Additionally, on this edition there is an extra prize for panoramic images 7:1 that could be used as header for PAge Wikivoyage articles. All of them will be reviewed by an international jury. More information about this special prize is available on its Commons page. We still don't have any sponsors listed for Wiki Loves Monuments 2019. Search Check the lists or use our map to locate nearby monuments and write down their ID number. Remember that we are looking for thermae and photoless monuments and municipes! No borders or watermarks are admitted, photos shall be at maximum resolution. Share Upload the pictures during the month of September. Monuments may be nearer to you than you think. If you have any doubts, you may contact us.